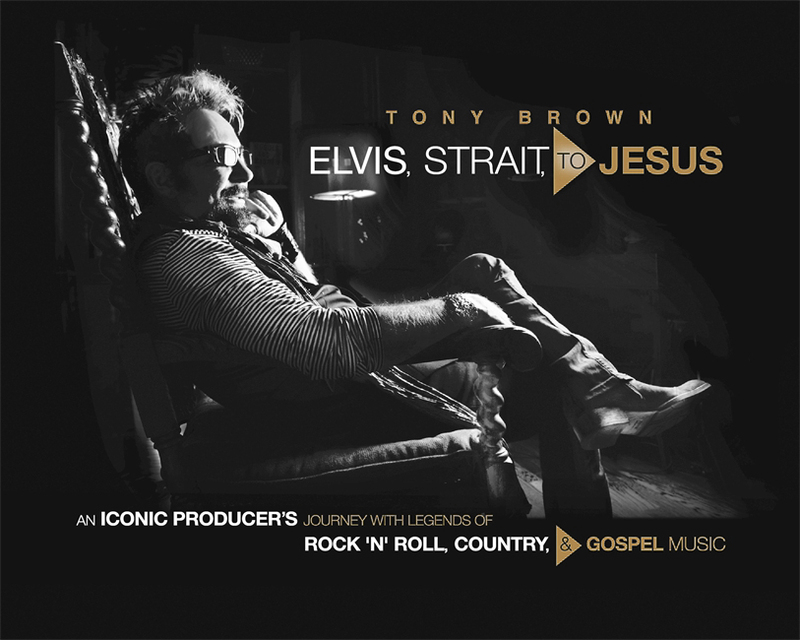 The Country Music Hall of Fame and Museum will host a book signing for the launch of Tony Brown’s Elvis, Strait, to Jesus: An Iconic Producer’s Journey with Legends of Rock ‘N’ Roll, Country & Gospel Music on Thursday, May 3 in the museum’s 5th Avenue lobby. Brown’s coffee table book explores his 40-plus year career as a hit producer, player and record executive and includes insights from many of the legendary artists and industry heavyweights whose work he has shaped. The book highlights the career that has been responsible for more than 100 No. 1 hits with artists ranging from Reba McEntire, George Strait, Lionel Richie, Vince Gill, Trisha Yearwood, Cyndi Lauper, Billy Joel, and Joe Cocker, to Lyle Lovett, Steve Earle, Patty Loveless, and Barbra Streisand. Photography by Rick and Melissa Core-Caballo are featured throughout the publication, accompanied by images from Brown’s personal archives. Each celebrity, artist, or collaborator posed in Brown’s French renaissance chair while illustrating their history together for the book, and the exact chair featured throughout the entirety of the book will be at the Country Music Hall of Fame and Museum during the signing for attendees to pose and take photos. The event is free and open to the public. The book will be available on May 1 at all book and gift stores, including the Museum Store at the Country Music Hall of Fame and Museum. Pre orders can be purchased at tonybrownenterprises.com and copies will be available at the event for purchase and signing.